Serving Food Processing, Printing, Automotive, Dairy, Packaging- Perkins Engineering Co., Inc. The diversity of Perkins Engineering is reflected in the wide variety of industries that are represented by our customers. 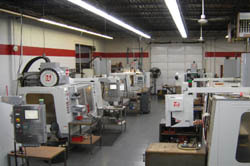 Many of the various industries have been introduced to us in a time of need for a "quick fix" to an existing machine. Instead of an expensive OEM replacement part, Perkins has been able to provide both cost and time effective solutions to shorten customer down time. For more information on this unique service please visit our replacement parts page on our site. Don't see your industry listed? Give us a call or contact us via our contact form and let us earn the privilege to add your industry to our list. We welcome and enjoy the opportunity to experience new products and design challenges from all areas.